This is very annoying problem when you are programming with IE8 and using sharepoint .We are working with custom layout pages coding and this problems occured and waste our valuable time. When navigating away from a publishing page that is in edit mode the browser displays “Saving Page Content…” in the status bar which can take up some time (about 15 sec) to complete before asking for confirmation to not save the page.There were no such error with either IE7 or FireFox. And also did not work for me !! 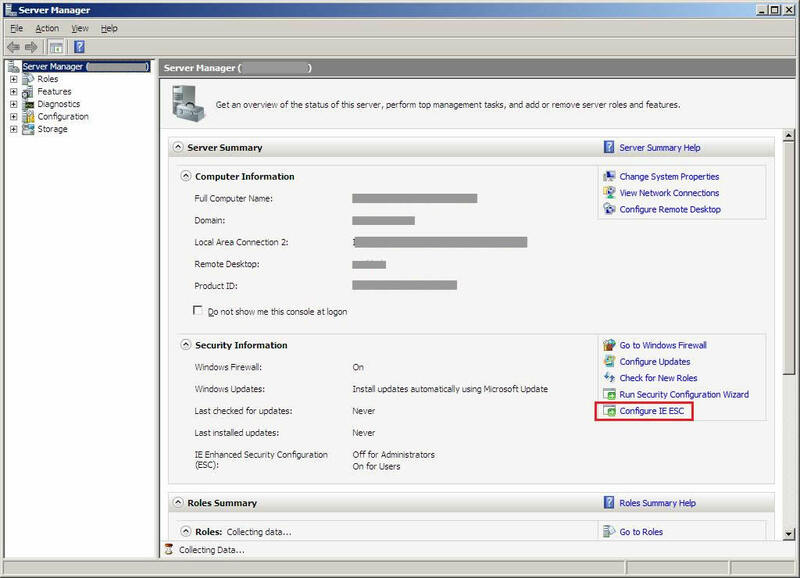 In the Server Manager browse to the Security Information section and click Configure IE ESC. Opening windows select OFF for administrators. Expand the Local Polices folder. Focus on: User Account Control: Behaviour of the elevation prompt for administrator. Double click and set to: Elevate without prompting.